My name is Max Pronko, I am a Magento Expert, Developer and Consultant. I was looking for a place with a high quality content for Magento developers. While searching and reading through different social media platforms and other websites I’ve realized that it will be great to have a single list with technical tutorials, tools, news around Magento platform. That is how I came up with the idea to start a digest for developers called “Magento Tech Digest – News, Tutorials and Tools”. In this Digest you can find hand-picked tutorials, how-to articles, videos, tools and other interesting resources for developers. I also plan to share most interesting and highly discussed pull requests and issues in the Magento 2 repository. The Magento Tech Digest is going to be published every 2 weeks. Magento 2.2-RC2.1 release is ready for testing. Read Getting The Magento 2.2 Release Candidate via Composer post to get started. Magento 2.1.8 has been released. Read all the changes in the Release Notes 2.1.8 CE document. Production Ready Microservices In Action by Venkatachalam Rangasamy. This post isn’t about Magento 2, but I highly recommend to read it. gordonknoppe/magento-sadserver – All error messages have been replaced with “¯_(ツ)_/¯” since you don’t bother to read them anyways. tddwizard/magento2-fixtures – Fixture library for Magento 2 integration tests. mpchadwick/Mpchadwick_MwscanUtils – A set of utilities to use in tandem with magento-malware-scanner. Vinai/module-customer-password-command – Set Customer Password with bin/magento. davidalger/capistrano-magento2 – A Capistrano extension for Magento 2 deployments. #10288 Google Sitemap refactoring – introduce item resolver by Piotr Kwiecinski. Pull Request with Major refactoring of the Sitemap feature, allowing for more extensibility by third-parties. #10508 Send different base currency in Google analytics by DominicWatts. Pull Request which allows order tracking with different currencies in Google Analytics. #10089 Add fulltext/keyword search field for product admin grid by Josef Behr. This Pull Request is a good example of how easy it is to implement a missing admin search feature with Magento 2. #10516 Update Cookie Manager library to make max cookie number configurable by bartoszherba. Pull Request and interesting discussion regarding maximum allowed cookie number. Is it always a bad code or sometimes not? #10356 Change URL Key behaviour to allow the same key to be used more than once. Controversial discussion regarding URL rewrite mechanism in Magento 2 and it’s difference from Magento 1. Fabian Schmengler, Magento Developer, and Consultant @integer_net, is writing a book called Test Driven Magento. This book is going to give a practical introduction to test-driven development (TDD) with Magento 2 and walk through a complete module creation as an example. You may subscribe to Fabian’s newsletter to receive emails about preview material and updates. 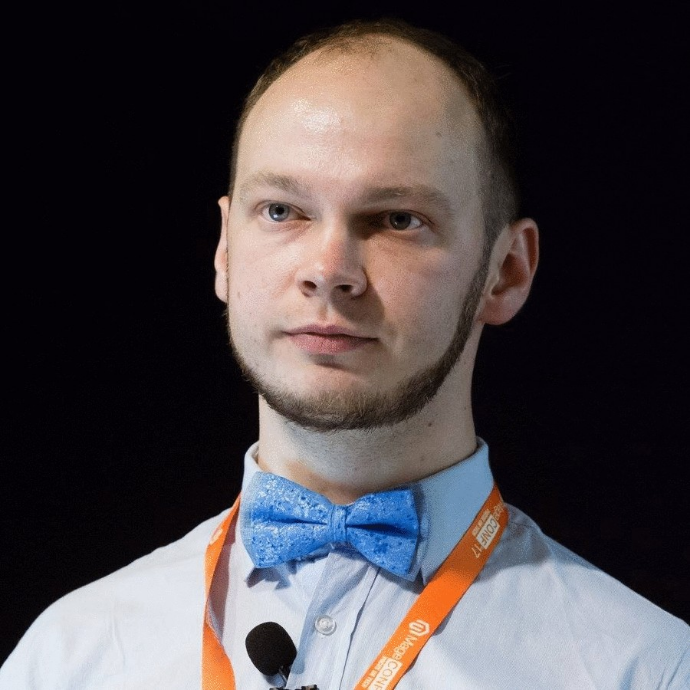 Vinai Kopp, Magento Expert, Developer & Trainer, is launching the new project called Mage2.tv. Mage2.tv is a library of screencasts on Magento 2 development. You can vote for topics which are going to be used for further Magento 2 Screencasts preparation. This is all for the Magento Tech Digest #1, hope you found it interesting. In case you would like to contribute to the next Magento Tech Digest please send me a message with your proposed link.